"Angel Soy Candles is in memory of my three angel babies. I'm a stay at home Mommy of 1 and decided to try a new hobby! 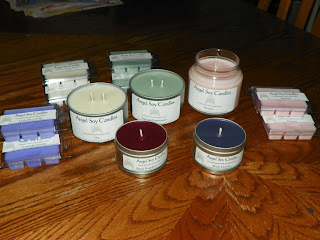 I love making candles"
100% soy candles support local farmers and is so much healthier of a burn for your family. I have made the switch to soy and have been much happier with the burn, knowing we aren't breathing in that wax from paraffin. 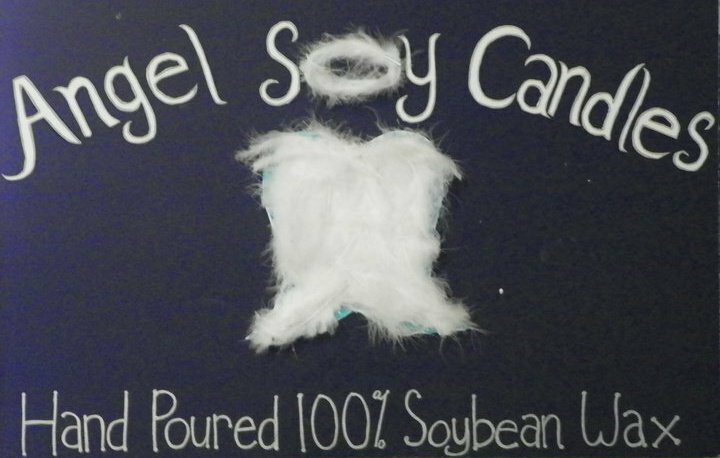 Angel soy candles are made in Michigan, my home state so of course they are just naturally the best. Home based, literally as you can see candle setting up on the table. She has a variety of different sized candles so you can place them throughout the house. They are very fragrant and long lasting. 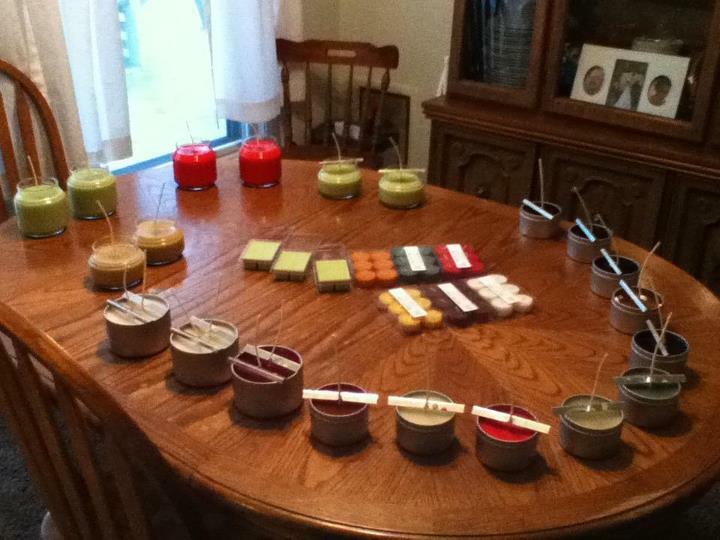 Over 40 different fragrances! That is almost enough for each week of the year. Which scent would you choose? 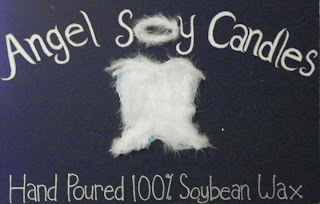 Enter to win a 7oz tin from Angel Soy Candles by following the Rafflecopter below. Ends Aug Aug 14. USA only. Coffee or Candy Cane, they both sound delicious!! That's tough. Maybe sugar cookie. I would choose Hawaiian Breeze. I would pick Lily of the Valley. I would pick Strawberry Shortcake. Cranberry Marmalade sounds awesome, as do many others. I would choose French Vanilla. Definitely Sweet Pea. Thanks for the opportunity. I would choose Hawaiian Breeze, although Firewood is intriguing as well! I would love the pumkin soufle, b/c it reminds me of fall.